In the preparation of pitches, and with the nature of clay loam, it is desirable to use a form of cover to aid the drying process. For higher standard games bowlers run ups and other areas need to be covered. 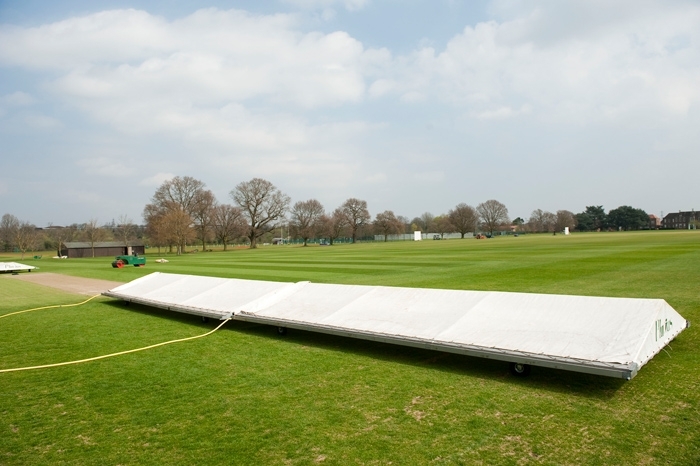 Mobile covers and sheets are used to cover the pitch and areas around the pitch. Mobile covers have pipes to remove water from the covered area. Water needs to be removed off the sheets before they are removed. As a guide; three to four days prior to a game and during a game if longer than one day. The use of sheet covers must be monitored to prevent the surface sweating under the sheet which can cause diseases to attack. Mobile covers can be left on longer due to air flow under them. Wheeled mobile covers and sheeting with sufficient ground anchoring. Try and use covers that let the light through to prevent the grass going yellow.